For a truly stunning vanity, the 37" Teton Single Bath Vanity will surely do just that in your bathroom. 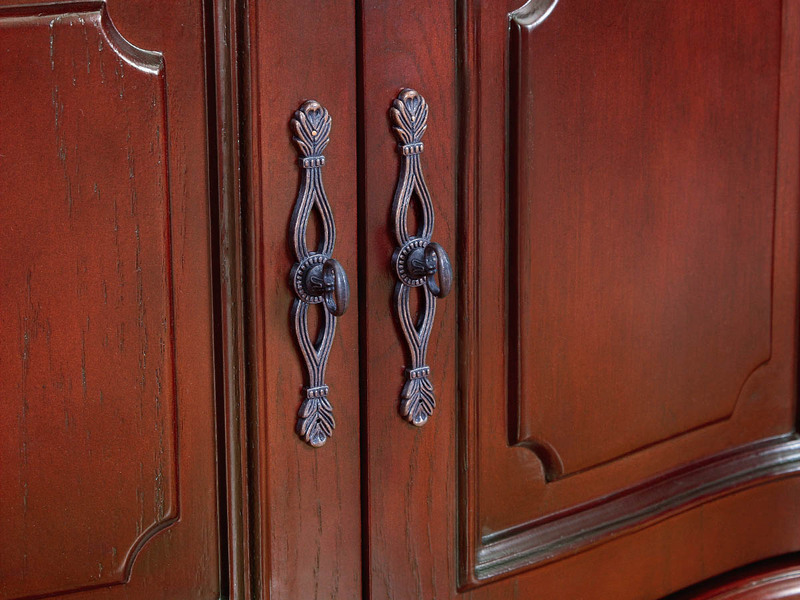 Featuring an antique style that boasts scrolled legs, intricate detailings along its sides and fronts, and a frame-like design on each of its cabinet doors, this vanity is packed with style on every inch of its size. 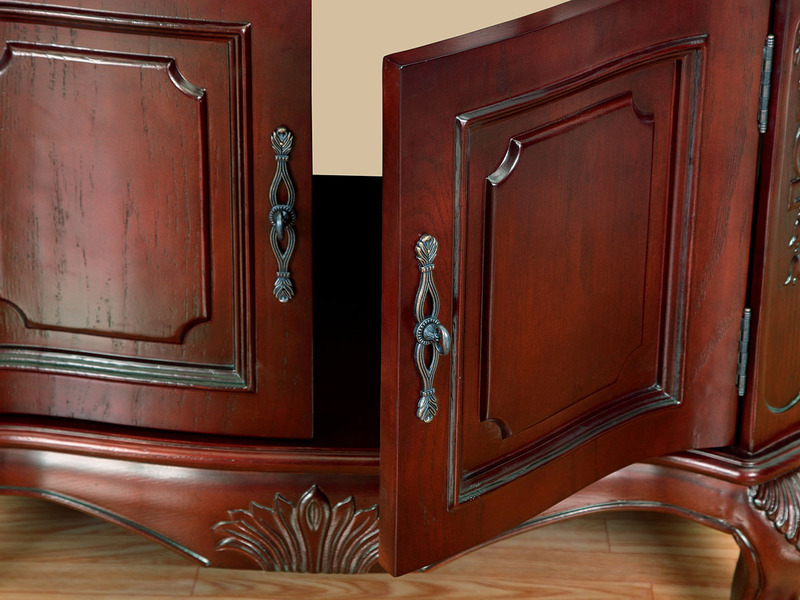 The unique shape of its top gives it an additional measure of style and is made of Dark Emperador Marble, making a beautiful contrast to its warm Antique Red finished cabinet. 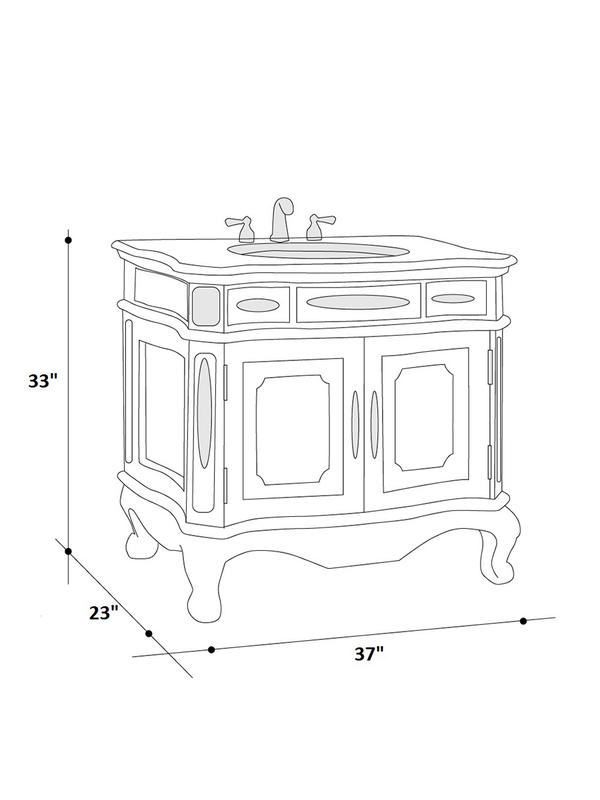 You'll find that the Teton Vanity will quickly become the centerpiece of your bathroom!